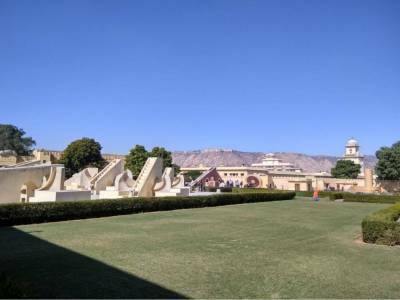 The Jantar Mantar in Jaipur is UNESCO declared World Heritage Site near the famed City Palace and Hawa Mahal of Jaipur. It is a complex system of nineteen astronomical instruments that are constructed by masonry, stone and brass using design principles and knowledge of astronomy as prescribed in Hindu texts. 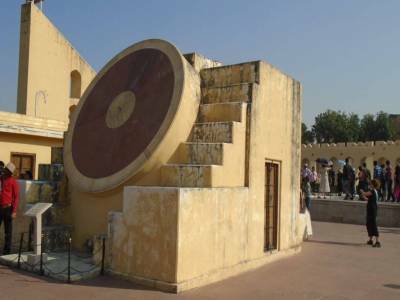 The stone sundial in this Jantar Mantar is officially declared by UNESCO to be the largest in the world. 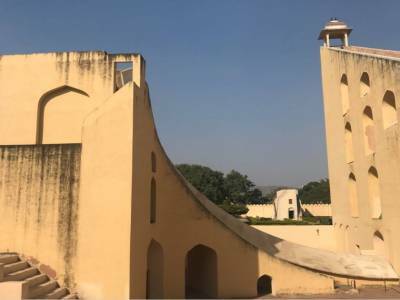 The Jantar Mantar built by Maharaja Sawai Jai Singh II was completed in 1734 and the place used as an observatory for planetary predictions and for observing movement of celestial bodies and planetary positions with the naked eye. The monument features some really mind-boggling instruments like one which works in all three celestial co-ordinate systems and a Kala Yantraprakara that allows conversion from one system to another directly. 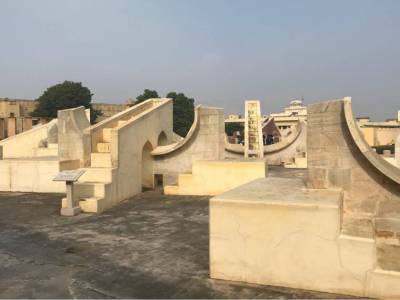 The name Jantar Mantar roughly translates to Instruments of Calculation. The different instruments listed in the observatory and whose purposes have been ascertained include a Chakra Yantra which is the modern day equivalent of 4 wall clocks simultaneously displaying 4 different time zones, an instrument to measure altitude and meridian of celestial bodies, Digamsha Yantra to predict accurate time for sunset and sunrise, an instrument to locate and find the distance of the pole star with respect to other celestial bodies, a Kapali Yantra, Diksha Yantra, Kanali Yantra, an instrument to measure longitude and latitude, a smaller and slightly less detailed sundial, a three metre astrolabe which holds the feat of being the biggest in the world, Rashi Yantra that measures positioning of stars and the constellation systems, Vrihat Samrat Yantra that is accurate to within 2 seconds of correctly showing time and also the largest existing sundial in the world, the Rama Yantra and the Palbha Yantra.Built from stone and marble these instruments display amazing tuning to be accurate and precise in their measurements and predictions till date. Although it had succumbed to damage due to lack of continuous use and for want of repair, the instruments have been restored to perfect functional condition and are presently under the maintenance of Archaeological Survey of the Government of Rajasthan. 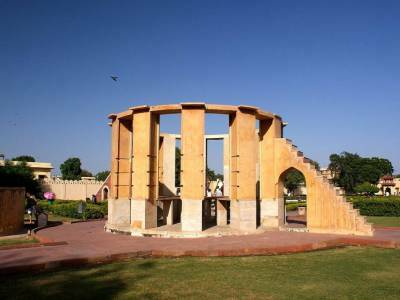 Get quick answers from travelers who visit to Jantar Mantar, Jaipur.